Table top fountain in copper and glass. 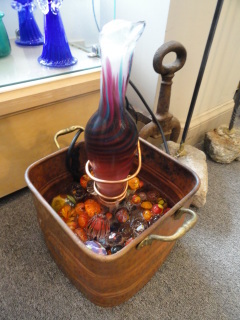 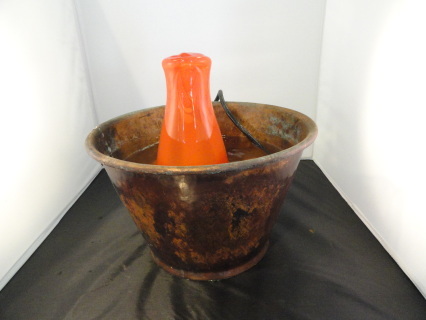 The base is a hand made copper bowl with an orange glass column water feature. 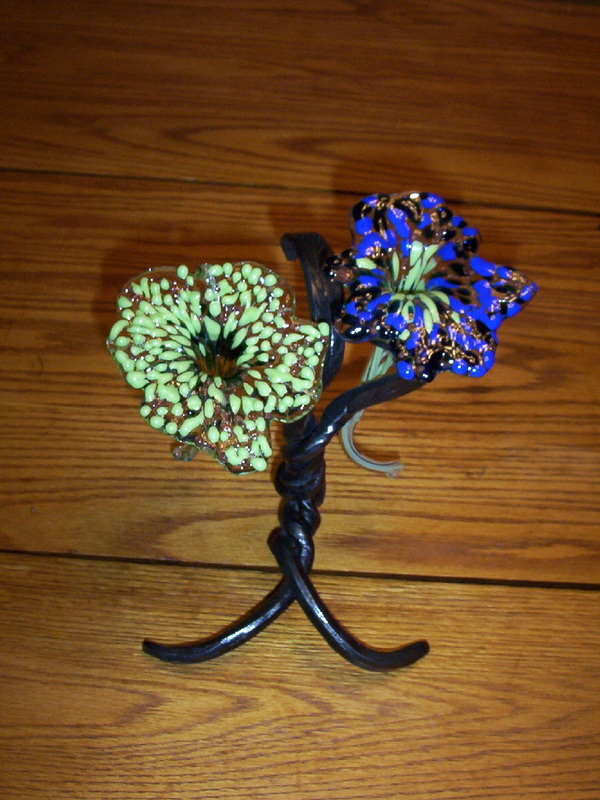 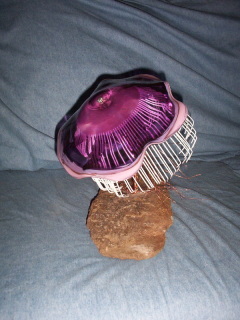 The base also has hand made glass flowers and glass nuggets for decoration. 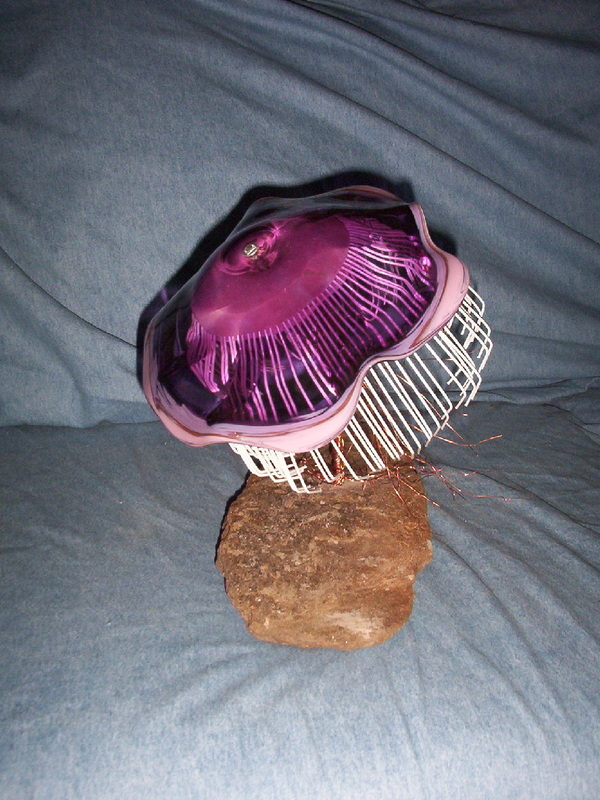 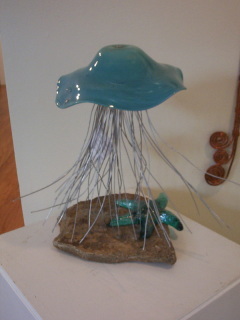 Hand blown green glass jelly fish with steel tentacles mounted on a stone base with a green glass starfish accent.